This weekend I was privileged to throw a bachelorette party (with several other awesome ladies) for my best friend from high school, and it went awesomely. Now, most people, when they picture bachelorette parties, they picture a load of screaming girls in pink wigs with a half-naked dude dancing around them. Confetti and glitter falls from the sky around them. Appletinis and Cosmos are splashed around incessantly. Most likely, in the background of this scene you’ll hear the song, “Shots” by Lil Jon and LMFAO, or maybe possibly “Single Ladies” by Beyonce. For us, this was not the case. My bride wanted nothing more than a super chill party with good friends, and that’s exactly what we organized. We stayed in a beautiful hotel, ate delicious food, and explored Portland as a group. I love that my group of friends (and in this case, their extended friend network) can party and have fun without having to fit into any certain trope. (Of course, nothing is wrong with tropes. Tropes are hella fun.) 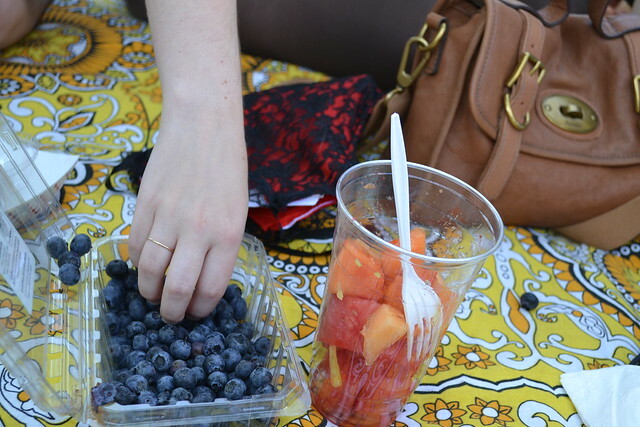 We people-watched, ate blueberries and elephant ears, discussed bad romance novels, got to know acquaintances, watched a dorky movie, and shared desserts with style. I can’t help but be thankful it went off so awesomely and stress-free! 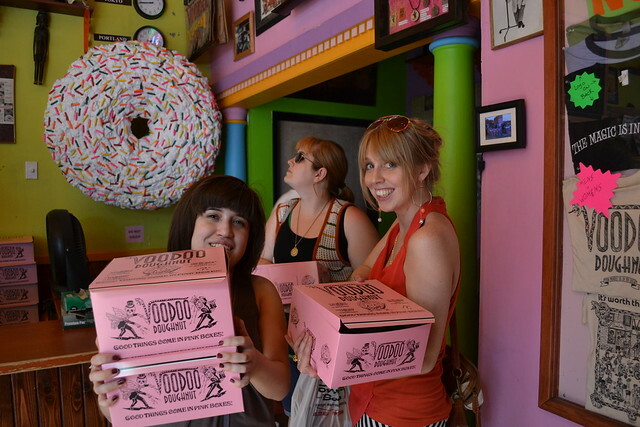 Even the part where some of us had to split a dozen doughnuts at Voodoo! I kind of feel like I’ve passed some sort of Life Achievement with this weekend.